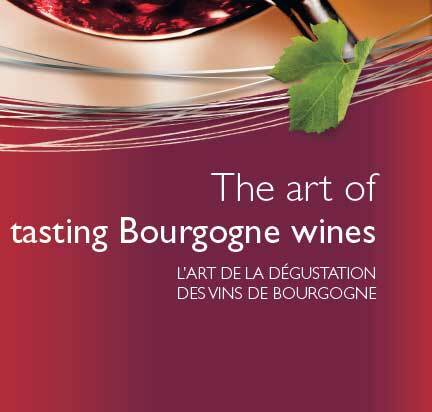 Bourgogne wines stand out for their great diversity of aromas, which reveal themselves with each new tasting. This journey through taste is the story of a unique wine which speaks to your senses. Bourgogne wines have exceptional subtlety and distinction. The diversity of their aromas allows them to dazzle the most refined palates with their elegance. From hints of fresh fruit to notes of undergrowth, taking in floral odors on the way, discover fragrances that are both delicate yet intense. Go back to school for the pleasure of discovering the art of tasting in a convivial atmosphere. The Ecole des Vins de Bourgogne, which has more than 30 years’ experience, is run by passionate specialists who will share their fine appreciation of Bourgogne wines with you. Thanks to its various formulas (from ½ day to five days), you can chose the right course for you for initiation or improvement of your tasting skills. Extras include numerous guided tastings, cellar visits and reading the landscape in the vineyards. An aroma is to be found where the senses of taste and smell meet. When you taste a Bourgogne wine, the aromas stimulate your senses by what is known as “retronasal olfaction”: after catching your eye, then tantalizing your nose, the wine next caresses the rear of your palate. The aromas then take on a fresh dimension, developing subtle and varied notes that might recall fresh fruits, minerality, or spices. Their extreme aromatic depth is one of the special delights of Bourgogne wines. To guide you in tasting, it can be helpful to think in terms of several main families of aroma. A genuine initiation experience, the Aroma Room transports you into the sensorial world of Bourgogne wines, revealing their full depth and complexity. Step by step, whether you are a debutant or seasoned wine lover, you will learn to easily identify and appreciate a wide palette of aromas. An original interactive concept, the Cave aux Arômes des Vins de Bourgogne (an exhibition dedicated to the aromas you can find in Bourgogne wines) takes your senses on a fascinating journey through the appellations of Bourgogne. 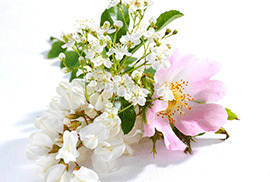 During this stimulating and educational olfactory trip, you will learn to distinguish different aromatic families. It will immerse you in a range of emotions, whether delicious childhood memories (grandmother’s jam, gathering mushrooms on a Sunday), or more contemporary moments (a fragrance in the street, an unforgettable encounter). This delightful exhibition brings to life 12 aromatic families of Bourgogne wines - white blossom, red fruit, citrus, spices, undergrowth - both visually and through the sense of smell. Your sensorial initiation goes step by step. After the sense of sight, your nose comes into play. The natural elements which each family represents (fruit, pieces of leather, flowers, etc.) catch the attention and give off easily identifiable aromas. 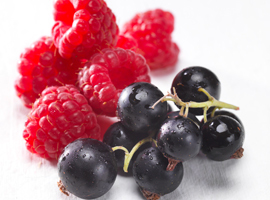 Your emotional memory will easily associate what you can see with the aromas you can smell. You are now ready to take on a tasting ! Heralded by wine professionals for its educational qualities, the exhibition is first and foremost an invitation to play with your senses. It is aimed at people of all ages, both wine-lovers and those simply curious and in search of an amazing sensorial experience. A rare opportunity to plunge into the universe of Bourgogne wines, throughout France and the rest of the world, the Cave aux Arômes des Vins de Bourgogne (exhibition dedicated to the aromas you can find in Bourgogne wines) has already welcomed more than 2 million visitors. Don’t miss it next time it comes near you ! The spectacular glass bubbles which act as showcase for the aromas in the Room have been specially designed to allow you to appreciate all the fragrances in each composition. Everything you can smell is 100% authentic and natural, whatever the season.